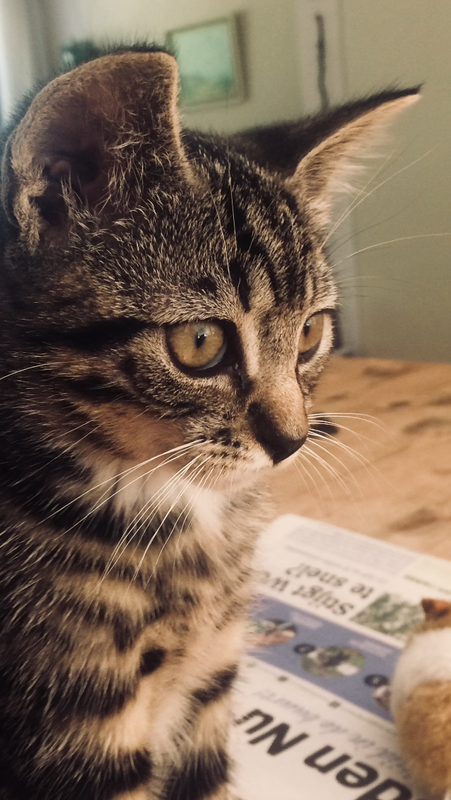 Board index ‹ Community Forums ‹ "All The Other Stuff"
dutchie wrote: This is Jonesy, my new kitten. So at Halloween night I was in a little accident which resulted in me having to wear a cast on my foot for 2 weeks as well as a wound on my chin which needed some stitches (and some excoriations). Basically I was taking part in some kind of a scavenger hunt through the city where you were being chased by people and if they get you, you also turn into a chaser. There were 5 checkpoints to visit which were safe zones. At checkpoint 2 I fell and got the excoriations on my arm and hand. And shortly before reaching checkpoint 5 I was chased and while sprinting really fast my ankle twist (cobblestone floor and my shoes were pretty loose, not ideal for running ) and I fell on my face. My friend helped me reach checkpoint 5 and there we saw that the wound on my chin was just too big and I had to go to the hospital. Last week of wearing the othesis I don't have to wear it during nights anymore though, so that's awesome too! Wow, what a trip down memory lane. b3rt4 wrote: Wow, what a trip down memory lane. Im also building another bass guitar. This time Im using more power tools. The first one I did, was with hand tools only. Oh, and the remake of Suspiria is awesome! I'm sorry for your fall, I hope the pain is not anything serious. He had FHS, but it was very severe and untreatable. He savagely attacked his own tail. He was only 11 months old. He would have turned 1 a day before my birthday. Return to "All The Other Stuff"